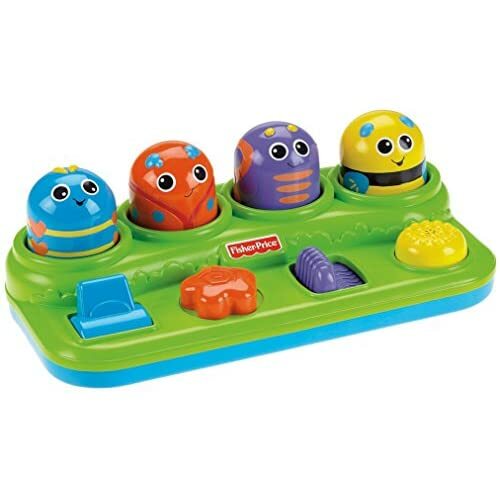 4 different shapes for baby to push, turn, slide or press for silly surprises! 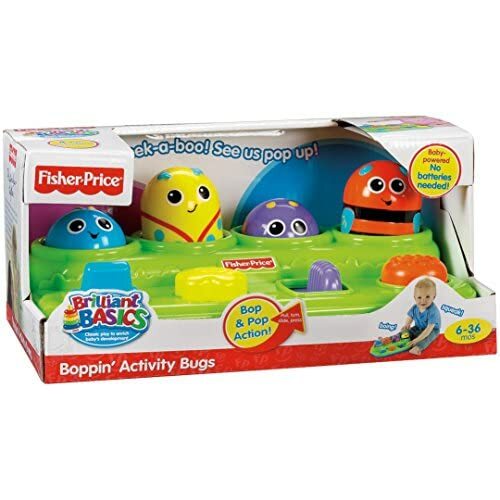 The Brilliant Basics Boppin' Activity Bugs toy from Fisher-Price is full of friendly surprises for your baby to discover! 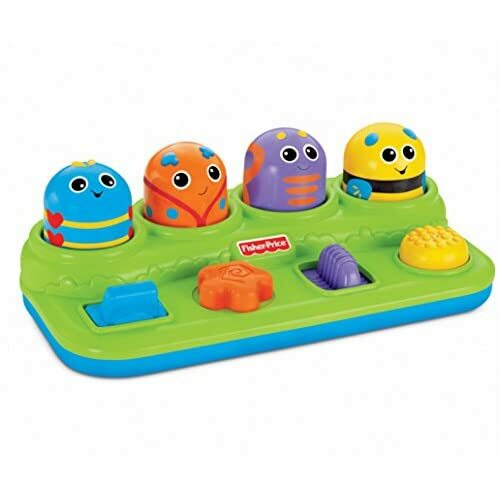 When your baby pushes, turns, slides, or presses the different shapes, they'll see the four cute bugs pop up with fun, surprising sounds. Where development comes into play. 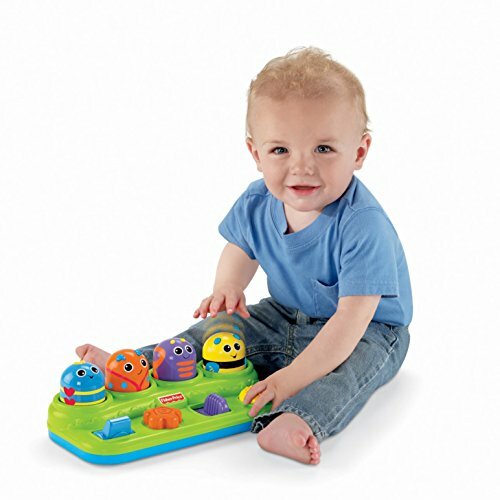 Sensory: Silly bug faces, bright colors, and fun sounds excite and engage your baby's developing visual and auditory senses. 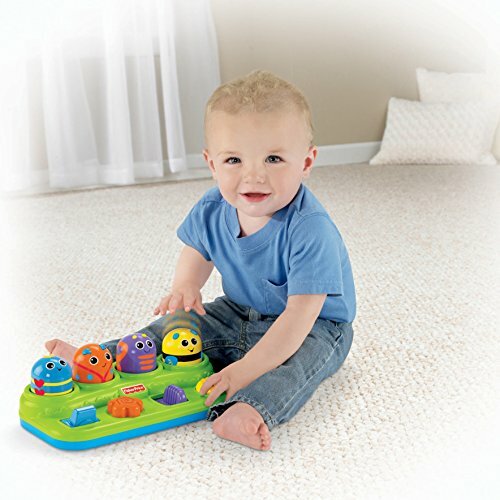 Fine Motor: Every push, turn, slide, and press helps strengthen your baby's dexterity! 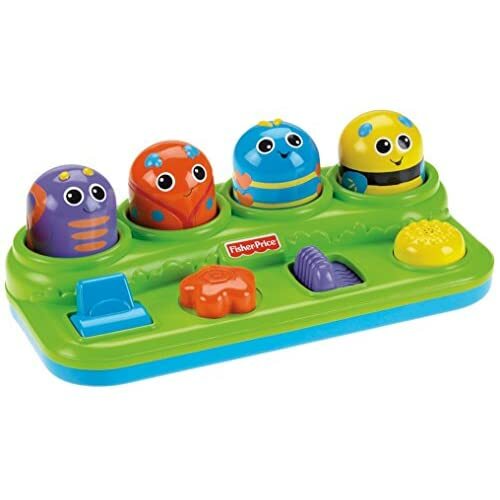 Thinking Skills: As babies discover all the ways to make the bugs pop up, they're introduced to cause and effect.